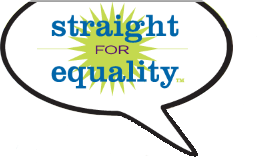 Straight for Equality invites you to join the growing roster of companies dedicated to fairness for lesbian, gay, bisexual, transgender, and queer (LGBTQ) people at work. Corporate America is leading the way in creating LGBTQ-friendly and inclusive environments. In 2019, 571 companies scored 100 on the Human Rights Campaign’s Corporate Equality Index. Fortune 500 companies continued to implement inclusive non-discrimination policies with 93 percent providing explicit protections on the basis of sexual orientation and 85 percent on the basis of gender identity. However, policies and procedures have not necessarily translated into culture change in the workplace, and this fact remains a difficult reality for LGBTQ people, their families, and allies. In the U.S., roughly 50% of LGBT people report that they are in the closet at work, fearful that coming out may negatively impact their employment. And even among those who are out, reports of sensing that their workplace climate doesn’t support them sadly remain widespread. The lag in culture change is damaging for individuals and organizations. LGBTQ people report extra stress in their day-to-day work, that they have less commitment to organizations that they feel don’t support them, and that they are more likely to take their talents elsewhere. Straight for Equality in the Workplace learning sessions help organizations make the case that “LGBTQ issues” are everyone’s issues at work by providing unique learning opportunities about key topics, empowering allies with specific plans for change, and permanently broadening the conversation to ensure that culture change thrives. Learn more about PFLAG National Partnerships! Looking for a way to boost your organization’s diversity and inclusion efforts? Becoming a PFLAG National Partner is a great way to meet you goal. Most partnerships include Straight for Equality in the Workplace learning session services.